It's all fun, and games until someone shows up in this Gorilla Mask. Then it's a real party. It's the kind of party movies are made of. 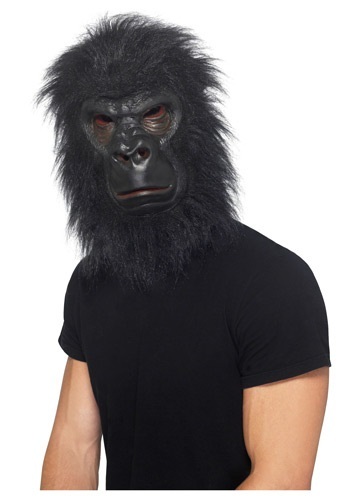 We're not saying that the Hangover was based on someone wearing one of these Gorilla masks, but you can imagine how that might be the case. You can imagine how a guy wearing this mask might be the coolest part of an epic party. You can imagine how you wearing this Gorilla Mask might be the life of such a fantastic party. You can show up to the raging hotel room disguised as a great ape. We aren't saying that there will be a white tiger in the bathtub, that would just be ridiculous. But it would be cool right? And who knows if there was a tiger, maybe he would see you, the Gorilla, as a familiar face.